UPDATED: This blog was originally published in November 2016. Small ship cruising might sound like a contradiction. After all, cruising ordinarily conjures up images of all-you-can-eat buffets, onboard casinos, and crowded swimming pools. But, this is truly the opposite of an Adventure Cruise. On a small ship, you’ve got your own room, your own bed, your own shower and ensuite, but there aren’t a million decks to navigate every time you want to get a coffee. 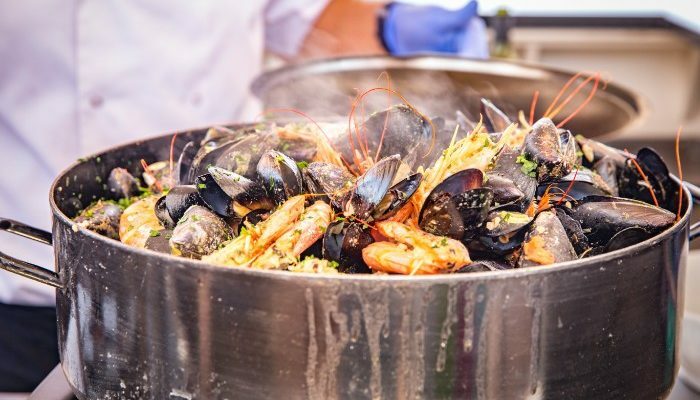 You can enjoy a breakfast buffet or an a la carte dinner, but it’s hardly the Bacchanalian food-fest you’ll find on the big cruise boats (that being said, the food is excellent – bring some forgiving pants). 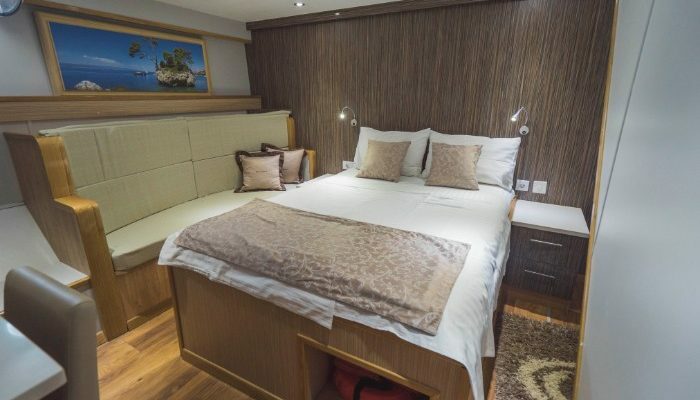 Basically, small ship cruising is for anyone who doesn’t feel at home on a large cruise liner, but can’t face the sometimes cramped quarters of a smaller yacht. A happy medium that’s better for travellers, and for the environment. 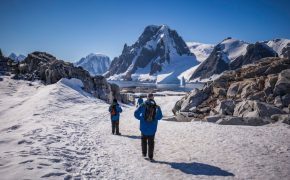 In case you need more reasons to give the big liners a miss, here are eight reasons you should try a small ship Adventure Cruise. Ko Tarutao National Park – image by Stephane Bidouze via Shutterstock. Because a small cruise ship doesn’t have casinos, gyms, theatres and swimming pools, you actually have to venture off the deck of the ship and out into the big, wide world to be entertained. Yes, the focus is actually on the destination, not the boat (which is why you flew halfway around the world in the first place, right?) There’s more land excursions, more dining in authentic restaurants or enjoying a local wine in a small bar and more time spent stretching your legs. And the beauty of small ship cruising is that you can do all of this on islands where the big liners never go. 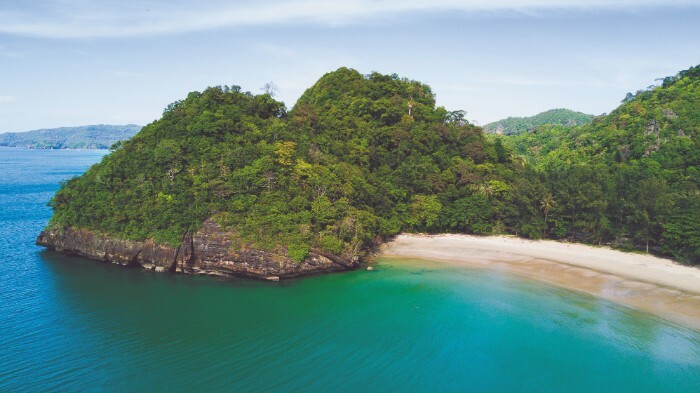 Everyone crowds on to Patong Beach in Thailand, but on an Adventure Cruise, you’ll have the opportunity to disembark and explore idyllic beaches like Ko Tarutao – without the throngs of tourists. 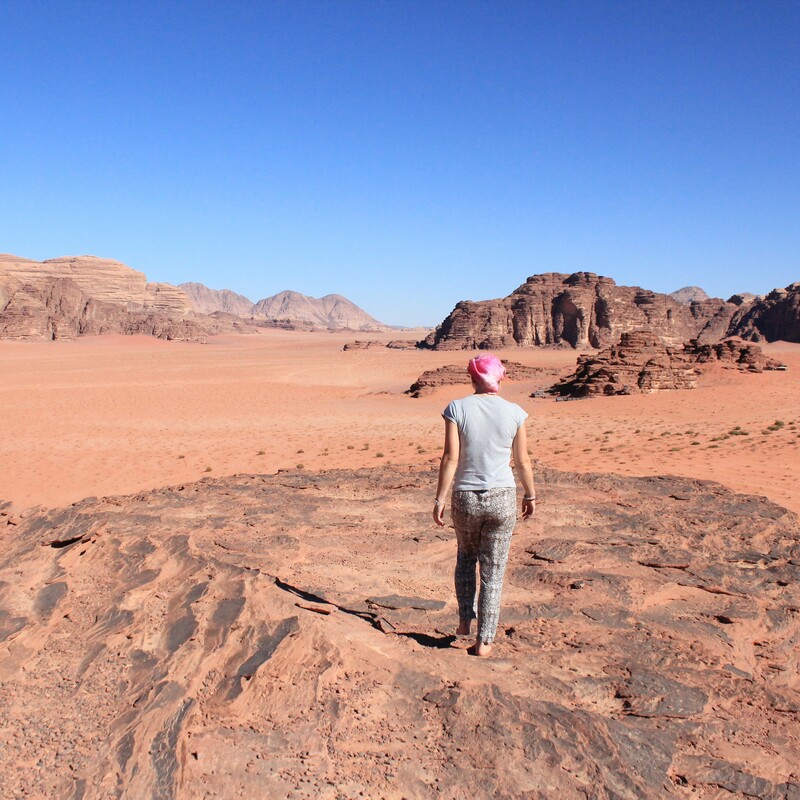 This is a small practical difference that adds a lot to your itinerary. Put it this way: when you disembark on Mykonos, you can walk straight into town, and as you do you can look out to sea and watch the huge cruise liners parked a kilometre off shore, their decks already crammed with people queuing for ferries to shuttle them to the island. If they forget their sunglasses, or feel like a quick afternoon nap, it’s a real hassle to get back on board. But not so with small ship cruising. Each time you disembark you’re given a small card; just flash that card and you can walk up the gangplank and onto the ship, coming and going as you please. Do a little shopping on Syros, drop it off in your cabin, then hit the town again for a retsina and a plate of Cyclades olives. It’s a little luxury those on the big boats don’t experience. Big cruise brochures always do a good job of promoting pristine environments and crystal clear waters, but the reality isn’t so sunny. Big ships are usually powered by an enormous diesel engine (some as tall as three storeys), and emit dangerous levels of sulphur dioxide, not to mention the sewerage from about 3000 people each day. You can read more about the impact of big ship cruising in the excellent Friends of the Earth report card, which monitors the big cruise companies and rates their environmental performance. 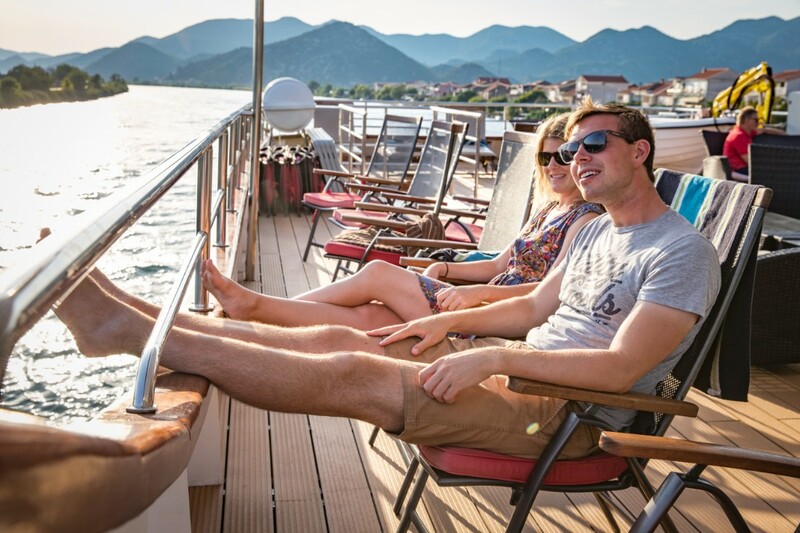 As well as Adventure Cruises being far less damaging to the environment, they’re also all carbon-offset. Swimming off the boat in Croatia – image by Ben Macnamara. Who wouldn’t rather dive into the waters of a secluded beach than a deck pool? Small ships may not have onboard pools, but a shallow draft allows them to pull right into secluded bays on uninhabited islands where a big ship could never dream of sailing. 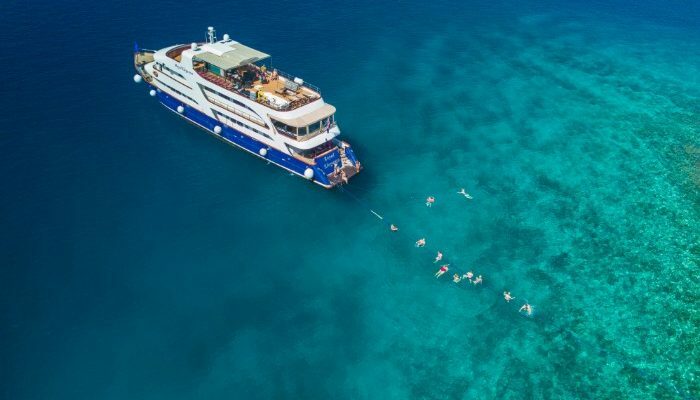 For example, if you take a coastal cruise in Croatia, en route from Dubrovnik to Korcula you might be able to simply pull up for an ocean swim. The staff on board are always on standby with kayaks, fresh towels and a warm shower to wash off the salt. Splash around and watched the sun go down, then dry off and settle down at the back bar for a game of Uno. There is rarely a single other boat in sight – all you will hear is the wind and the sound of the bartender mixing your drinks! Not a bad way to end the day. A typical small ship cabin – Image by Ben Macnamara. Large cruise ships are run a little like airlines: it’s a volume game. The idea is to cram as many paying customers into each square inch as possible. There’s not a lot of thought given to comfort or convenience. Sailing on a small ship though, you get the feeling the cabins were designed with real people in mind. Each one is roomy and light, with its own ensuite. There’s air-con if you get warm, a cupboard to hang your clothes and a safe for valuables (just don’t lose the key). In saying that, there are sacrifices that you make for being on a smaller ship – you can usually hear the engine running in the background, there are only a handful of communal areas, the corridors are narrow and the pitch of the boat can be severe in rough weather – but the advantages more than make up for it. It’s the difference between staying in a boutique B&B and a big faceless hotel chain. Fresh seafood on board – image by Philippa Whishaw. 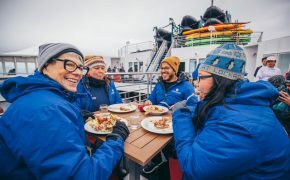 Adventure Cruising is a bit different from your traditional, en masse cruise buffet. There are still buffets on offer, but they’re prepared with care by a small team of local chefs who really know the region’s food. They’re made from market-fresh produce, and designed to reflect the traditional flavours of a destination. That means they change depending on the cruise. In Vietnam, you might be snacking on crispy Banh Xeo with freshly caught prawns. In Spain? Perhaps a fragrant paella and crunchy patatas bravas. There’s even a special themed night on each trip, where the chefs go all out and whip up a feast of fresh local fare. And the good food doesn’t end when you step off the gangplank. 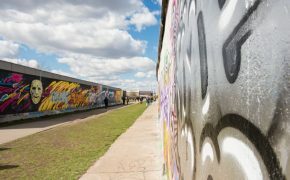 Because you’ve got your own local leader, it’s easy to get tips on the best market stalls to visit, the bars with the punchiest local cocktail or the most authentic local restaurant to spend the evening at. The toughest part about Adventure Cruising? Picking the right one for you. 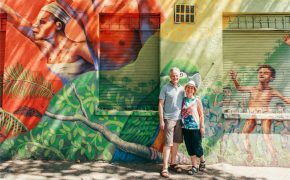 We’ve carefully built a handpicked range of tours all over the world – a mix of classic cruising destinations (with a twist) and a few groundbreaking itineraries. 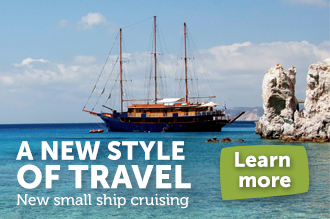 Already sailed the Greek Islands? Why not try a cruise around the wild west coast of Iceland? Or maybe an island-hopping jaunt through Thailand? For something really different, you can head to West Africa for a cruising safari. In each destination, we try to go beyond the usual suspects. So, for example in the Greek Islands, while we visit Santorini and Mykonos (it would be blasphemous not to – and those gods are ones you really don’t want to upset…) we also include port stops in a few out-of-the-way places like Syros, Poros, Aegina, Kea and Kythnos. Do you want to experience a small ship Adventure Cruise? See our full range of worldwide cruises. Hero image by Philippa Whishaw. 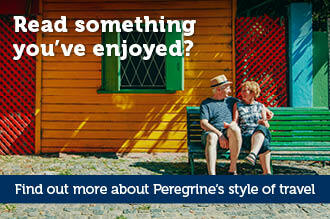 We love travelling with Peregrine and this concept of small boat cruising sounds like a terrific idea. We only hope that you come up with a cruise taking in the Mediterranean Islands such as Crete, Malta, Sicily, Cyprus, Corsica, Sardinia and Gibraltar. Thanks for your interest! Amy, from Peregrine. Just returned for a cruise around the Greek Islands on the MV Callisto – exceeded all expectations. I’d recommend it to anyone.